Fractured collar bone. Labelled artwork of a broken collar bone (clavicle) in a patient's right shoulder. This is an anterior (frontal) view. 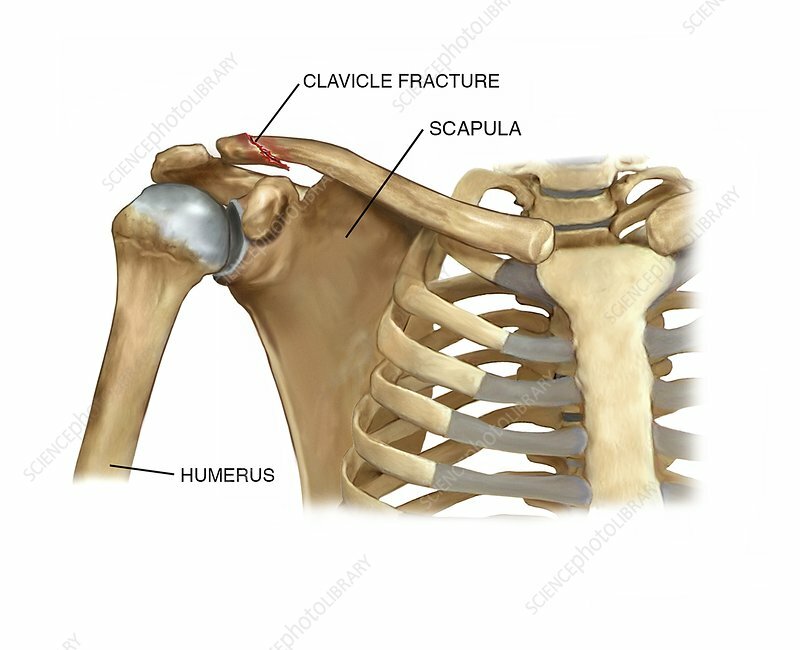 The fracture is in the distal region of the clavicle, near the shoulder joint.